The Tang Dynasty is considered to be one of the great dynasties of Chinese history; many historians rank them right behind the Han Dynasty. They extended the boundaries of China through Siberia in the North, Korea in the east, and were in what is now Vietnam in the South. They even extended a corridor of control along the Silk Road well into modern-day Afghanistan. 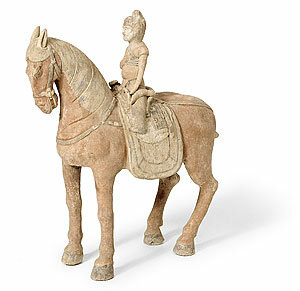 There are two interesting historical things about the Tang Dynasty. The first is the Empress Wu, the only woman ever to actually bear the title 'Emperor' (or, in her case, Empress). 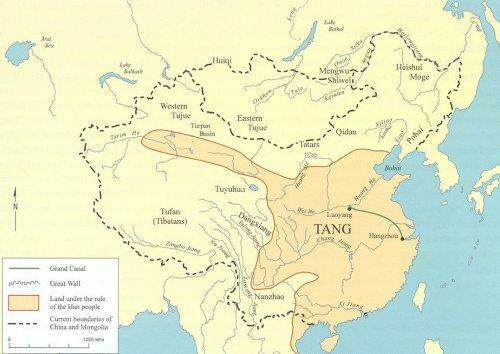 The second was the An Lushan Rebellion, which marked the beginning of the end for the Tang Dynasty. The Empress Wu was not a nice person. She makes Catherine the Great look like an angel of mercy. While Empress Wu was still a concubine in the imperial Tang household, she deposed of a rival by murdering her own son, and then claiming her rival did it. In her own vicious, ruthless, scheming way, she was absolutely brilliant. Had Machiavelli known of her, he probably would have written "The Princess." 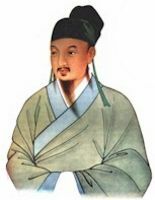 The An Lushan Rebellion had its roots in the behavior of one of the great emperors of Chinese history, Xuanzong. 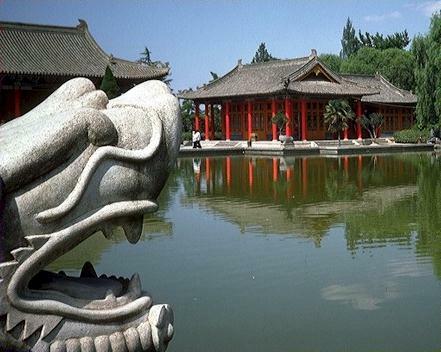 Until he fell in love with a young concubine named Yang Guifei, he had been a great ruler, and had brought the Tang Dynasty to its height of prosperity and grandeur. He was so infatuated with Yang that the administration of the government soon fell into decay, which was not made any better by the fact that Yang took advantage of her power to stuff high administrative positions with her corrupt cronies. She also took under her wing a general named An Lushan, who quickly accumulated power. An Lushan eventually decided that he would make a pretty good emperor, and launched his rebellion. The civil war lasted for eight years, and was, for the years 755-763, pretty destructive. The emperor was forced to flee the capital, and on the way, the palace guard, blaming Yang Guifei for all the problems that had beset the dynasty (to be fair, it wasn't all her fault; there were forces of political economy at work that were pretty much beyond anybody's control), strangled her and threw her corpse in a ditch. There is a legend that what actually happened was that the emperor had procured a peasant look-alike who was actually the one killed, but as far as I know, that is only fiction. Anyway, the rebellion pretty much shattered centralized Tang control, and for the remaining 150 years of the dynasty, the country slowly disintegrated. © 2005 ChinatownConnection.com, Houston Chinatown Web Portal. Tang Dynasty. All Rights Reserved.